Do you go through phases with your cooking? Are there dishes you make all the time until you move on to the next shiny (I mean delicious) new thing? While I like (and it’s my job!) to keep coming up with new ideas, sometimes there’s a downside to always exploring new flavour sensations. Sometimes I forget about things I really love to eat. Which has pretty much been the story of me and dukkah for the past 4 years. Luckily, this story has a happy ending in that we were reunited a few months ago. And now I can’t get enough! Dukkah is originally an Egyptian blend of spices, seeds and nuts that is served with olive oil and bread for dipping. But it’s so much more than just a dip! Dukkah adds lovely crunch and a flavour explosion where ever you use it. And it keeps in the pantry for months! My most frequent use for dukkah is to sprinkle on my poached eggs (see below for my current obsession). But it’s also awesome on scrambled or fried. The spices and crunchiness makes a heavenly contrast to rich creamy yolks. Dukkah is amazing with all soft cheese especially a creamy fresh goats cheese, labneh or ricotta. It’s also good with feta but you need to watch you don’t get too much salt from the dukkah and feta combo. If you’re feeling fancy, you can roll cubes or scoops of the cheese in a dukkah crust. When I snack, I love to reach for some home made natural yoghurt. If there’s dukkah in the house I love to sprinkle some on top to take it to the next level. Just sprinkle on before serving so you get maximum crunch. 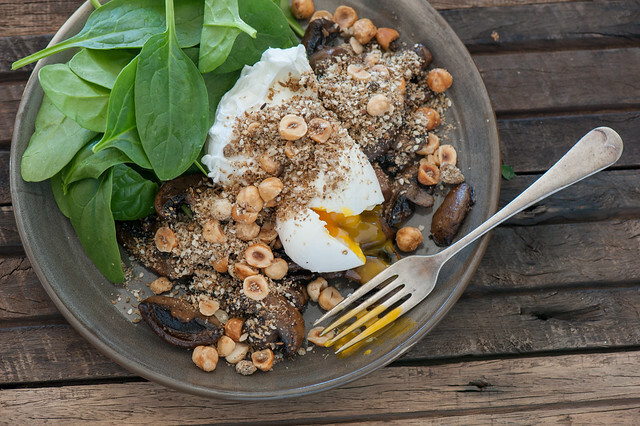 The sesame seeds and hazelnuts in the dukkah are a quick way to make your salad more substantial and filling. This isn’t something I do often because I worry about burning the nuts. But if you’re up for a technical challenge, you’ll be rewarded with succulent meat / fish and a flavour-packed crunchy crust. Dukkah works with most protein. I especially like to sprinkle it on post-cooking. Will liven up good old halloumi or tofu too! If you’re looking for a way to jazz up your avo on toast, you definitely need to make some dukkah! Avocado and dukkah are friends wherever they find themselves though, so don’t feel like you need to be a toast eater to enjoy the experience. If you’d like to try a Low Carb Avo & Dukkah on Toast I highly recommend my Broccoli Bread. This one takes a little more finesse to get right, so only use a little bit (you can always add more!). I like the earthy cumin and citrussy coriander to enhance the flavours of more subtle fruit like cooked apples, quince or pears. But can imagine it working with strawberries or blueberries as well. As you can see, I pretty much use my dukkah everywhere. Well, at least anywhere I’d normally add black pepper. Which reminds me, I need to make more dukkah! This breakfast / lunch / dinner is all about some of my favourite things. Poached eggs! Buttery, garlicky mushrooms! Crunchy nutty, dukkah! And some leaves for greeness. It’s soo soo good. If you don’t have the time or inclination to make the dukkah, see the ‘no dukkah’ variations below. I’ve just used large button mushrooms in the photo but pretty much any mushroom will work cooked this way. 1. Heat a large frying pan on a medium high heat. Add butter and allow to melt and coat the bottom of the pan before adding the mushies and garlic. Cook, stirring every few minutes until the mushrooms are well browned and tender. If the butter starts to burn, turn the heat down. 2. Taste and season mushrooms with salt, remembering the dukkah is going to add some salt too. 3. Divide mushies between two plates. Top with poached eggs. Sprinkle dukkah over and pop the salad leaves on the side. no dukkah – you really need to sort that out! But in the mean time, the eggs and mushies are amazing with a dollop of home made mayonnaise or just sprinkle over some roasted nuts or seeds to give you that extra flavour and crunch. carb lovers – pile everything on hot buttered sourdough toast. Or serve with warm flat bread. different veg – pretty much any roast or pan fried veg will work with the egg and dukkah treatment. I especially love roast broccoli, cauliflower or brussels sprouts. egg-free – replace poached eggs with some soft cheese. And add a handful roast hazelnuts or almonds for extra substance. Dukkah is originally an Egyptian blend of spices and nuts that is served with olive oil and bread for dipping. It’s an excellent starter because it can be easily made well in advance. But as you can see from my list above, there are so many more ways to use this flavour and texture explosion! Trust me, you won’t have any problems using it up. The dukkah will keep for a few months in an airtight container in the pantry. 1. In a food processor, blend nuts until you have a chunky meal. Or coarsely chop by hand. 2. Stir in sesame seeds, coriander, cumin & salt. Taste and season with extra salt if needed. to roast the hazelnuts – I usually cheat and buy pre-roasted and peeled because peeling hazelnuts is a pain! Sometimes I pop them in the oven for 5 minutes (200C / 400F) to freshen up before making my dukkah. To roast from scratch pop on a baking tray and roast for 10 minutes or until golden brown and tasty. 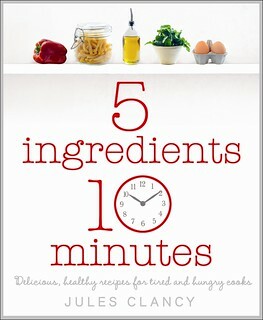 It’s usually somewhere around the 12 minute mark but may take 15 minutes, depending on your oven. Make sure you set your timer because there’s nothing worse than wasting burnt nuts. 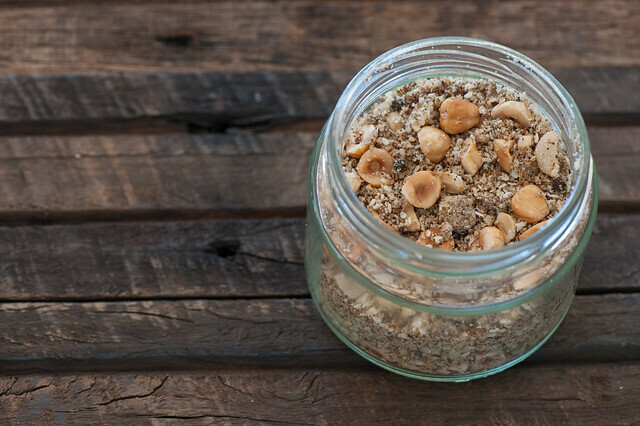 nut free dukkah – replace hazelnuts with a mix of seeds such as sunflower, lindeeds (flax) and pepitas. different nuts – replace the hazelnuts with roasted almonds, macadamias or cashews or a mixture of your fave nuts. budget – replace some or all of the hazelnuts with fine bread crumbs. The winner for this month is Daryle in VT.
A new winner will be chosen early Sept. I would dry fry the Sesame seeds for the Dukkah, because they are a super flavour when added to any recipe. For sprinkling on Salads, I dry fry first Pumpkin seeds, then Sunflower seeds followed by Sesame seeds with a sprinkle of salt, Delicious!! With asparagus season not too far away, I thought I should share our favourite use for dukkah – dry fry asparagus spears in a nonstick pan. Dip spears in plain yogurt or sour cream, then dip in dukkah. It’s a great pre-dinner treat! Hi Jules, this post is very timely for me… Just days ago, I was looking at a tub of Dukkah at the supermarket, then thought to myself, “I could make this.” I put it back on the shelf, and now here is your post! Definitely going to try this. I will probably use macadamia nuts, as I also struggle with peeling hazelnuts and find the skin can taste bitter. The presentation of dukkah is absolutely eye taking; it increases the taste flavours of recipes!! Thanks a lot for sharing such a healthy and useful one. What a great post! I think my ‘forgotten’ item was sumac – I can use it in so many of the same ways as your dukkah. These recipes are all a great idea. I just need to learn how to make dukkah and your recipe makes that easy. Do you always prepare fresh dukkah or you can keep it in the refrigerator? I keep in in the pantry Agness… will last for a month or longer depending on how fresh your nuts were. If it does start to go a little rancid, warming it in the oven for a few minutes will freshen it up.